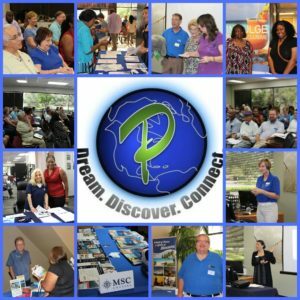 The Opportunity – Become a Travel Agent with Prestige Travel Systems – The Original Host! Starting at $125, our Independent Travel Agent program includes complete start up and training. Travel is one of the fastest growing segments on the Internet. New technology has allowed independent travel agents to access computerized reservations systems (CRS) through the Internet from their home. As a home based travel agent and a member of the Prestige Agent Network, you can begin enjoying commissions income, travel benefits and an independent lifestyle working right out of your home or office on a part-time or full-time basis. The choice is yours, but whatever your expectations, we want to help you make them a reality. Many people are attracted to the travel business because they want to experience the excitement of the travel industry, gain additional income and qualify for travel benefits. In order to accomplish this, some people pay $50,000 or more to purchase a retail travel agency to obtain nearly the same income potential and benefits that you can have with a home, office or web based agency affiliation to become a travel agent and operate your own independent travel business. The Prestige Agent Network offers cutting edge technology and systems which support a network of independent travel agents throughout North America. All of the travel agents in our network earn commission and participate in benefits and activities enjoyed by professional travel agents. Our members also benefit from the buying power and influence of our agency in the travel industry. When you get started you will receive your start-up support package, including a training manual, audio training CD and video training DVD. Travel and tourism is the world's largest industry, generating nearly $4 trillion in annual revenues and employing over 127 million people worldwide. Since the 1950's, travel and tourism has consistently grown at an average daily rate of 10 to 11 percent. Almost all segments of the travel industry are experiencing growth including hotel and vacation travel. Nowhere is this more obvious than in the cruise segment. Cruise lines have put new mega liners into service and continue to order new ships for delivery every year. In spite of the phenomenal growth that has taken place in the cruise industry only a small percentage of all Americans have taken a cruise. This presents an incredible opportunity for travel agents. The time to become involved in the Travel Industry is now! You can be a part of this remarkable growth.